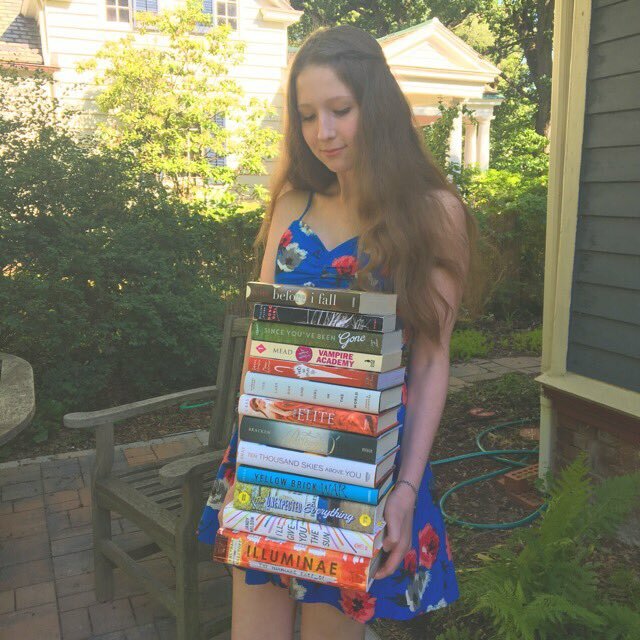 My name is Sophie and welcome to my blog, Book Wish. Besides books, I love fashion and writing. I write contemporary & thriller/mystery YA books and if I ever publish them on Wattpad, I will include a link (right now I’m wayy too nervous about letting other people read my work). I blog to express my love for books because they are such an important part of my life. I love meeting other bloggers and book-lovers. Before blogging I barely knew anyone who understood my obsession with reading and book characters. I have met so many lovely people, and I treasure that greatly. Some other important things you should know about me are that I am a huge Taylor Swift enthusiast and my posts often include gifs of her. I also have a little puppy named Lola who loves to chew the corners of my books (but I don’t let her)! She’s a bit of a handful, but also really adorable. So welcome to Book Wish! A recommendation for the Sci-fi section: “Gone” by micheal grant. It’s a great book series! Yes! I love that series. I will definitely put up a review eventually! Hi to your cute dog Lola! 🙂 Nice to meet you both!